I usually say that word and people look at me like I have three eyes. 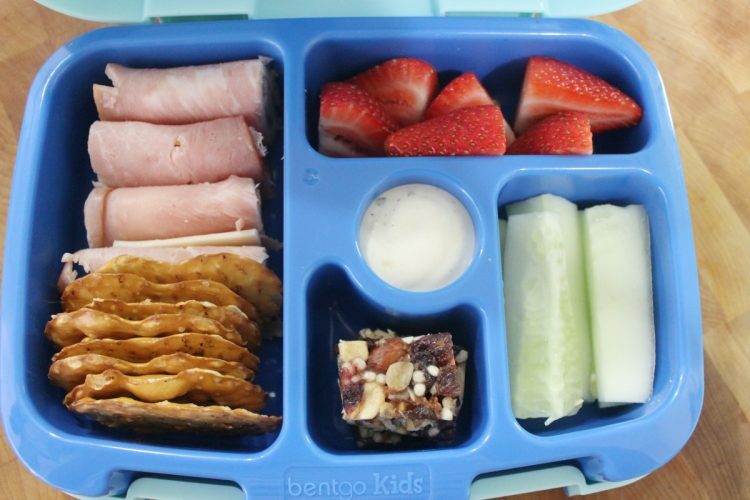 Basically, “bento” is a Japanese word that means a single-portion meal for take-out or even homemade, packed into portioned boxes or containers. Last year, I spent a small fortune on Gladware and other types of containers. 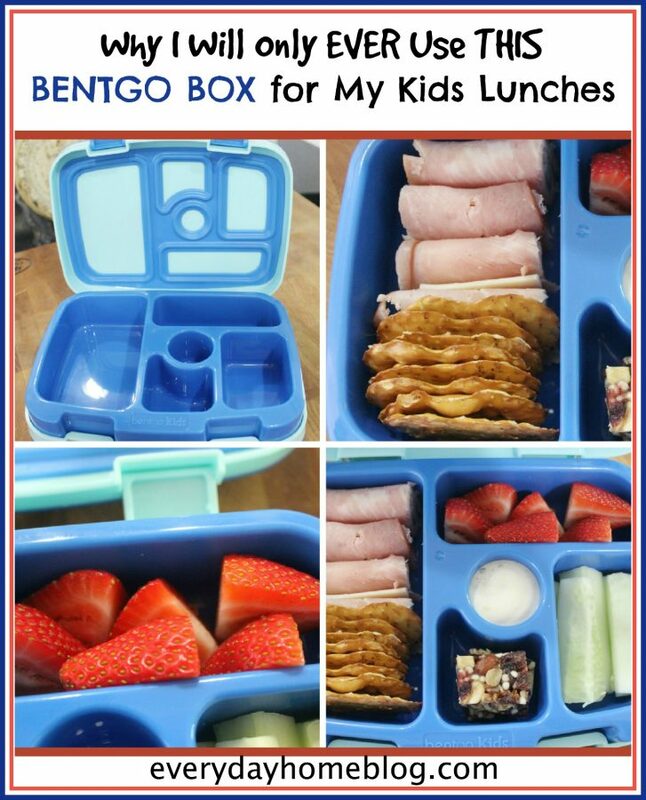 Finally, I decided to do some research and looked into the “Bento Box”concept. I am soooo happy I did. I will never go back to anything else. I am so happy to share this with you today. This is the brand I ordered. Primarily because it is self-sealing and leak proof. 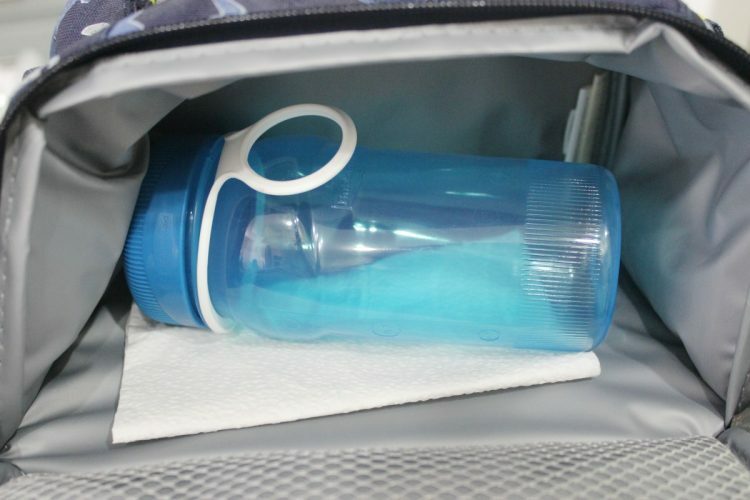 If you have to scrub out enough lunch bags where the strawberries or apple sauce juices have ran all over the lunch bag and book bag, too – you will appreciate the “leak proof” part. It’s a hard plastic so it is very durable. 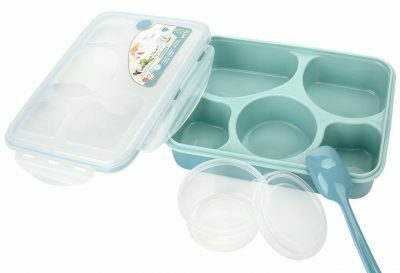 The inside portioned section comes out for easy washing, and you can also order additional inserts. 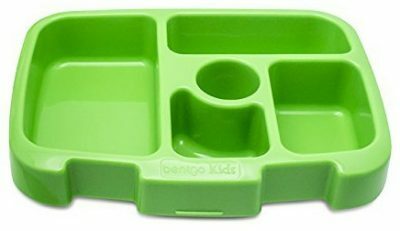 I ordered two inserts each so I could make 2-3 days of lunches, wrap them in plastic and deliver them to my son and Daughter-in-law’s house and they can simply pop in the inserts in the morning. I chose blue and green, but there is a great pink, too. 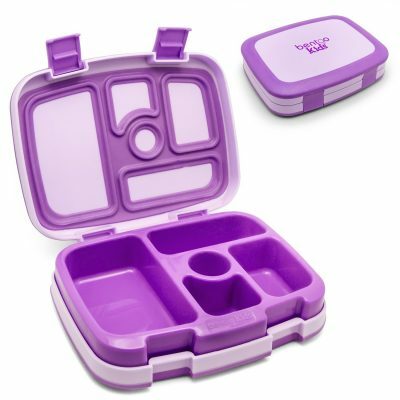 There are five assorted compartments which allow you to pack a variety of foods. 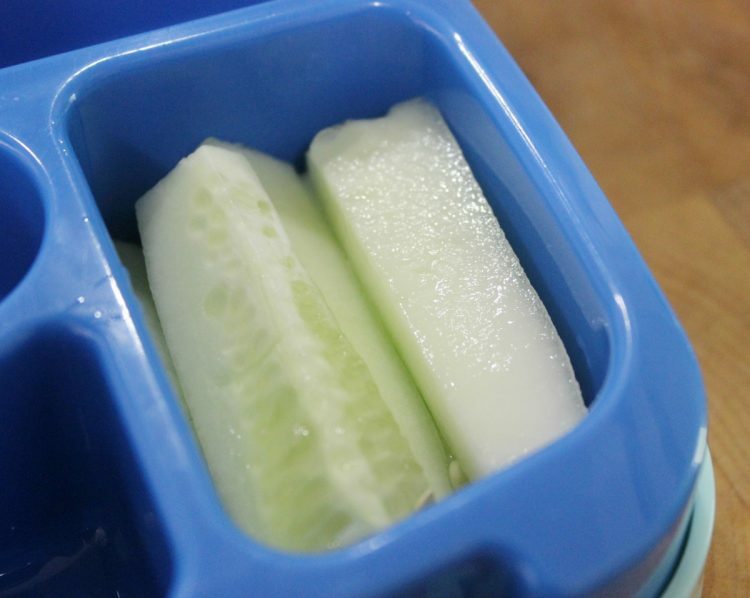 These containers may not be ideal for older kids or teenagers, as they may not hold enough food. But for my little ones, they are the perfect size. One of the things I have noticed when having lunch with the boys, is the amount of food wasted on a daily basis. It made my heart literally hurt to see so much food uneaten. One of the reasons, as I spoke of above, is the fact that most public schools now serve food which is borderline garbage. Every teacher I have ever spoken to said it has gotten increasingly worse in the past few years. 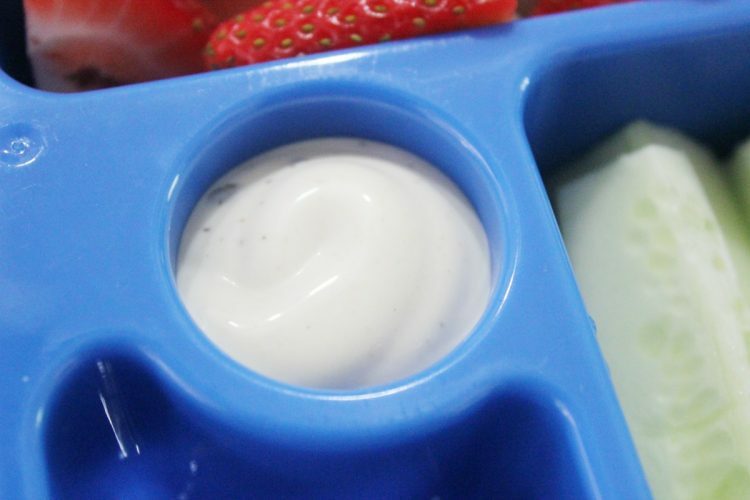 The second reason – and what I discovered about my own two little ones is that they prefer smaller “finger” foods. I observed sandwiches barely touched, or one or two bites eaten and it was discarded. Then, they would move on to their chips. 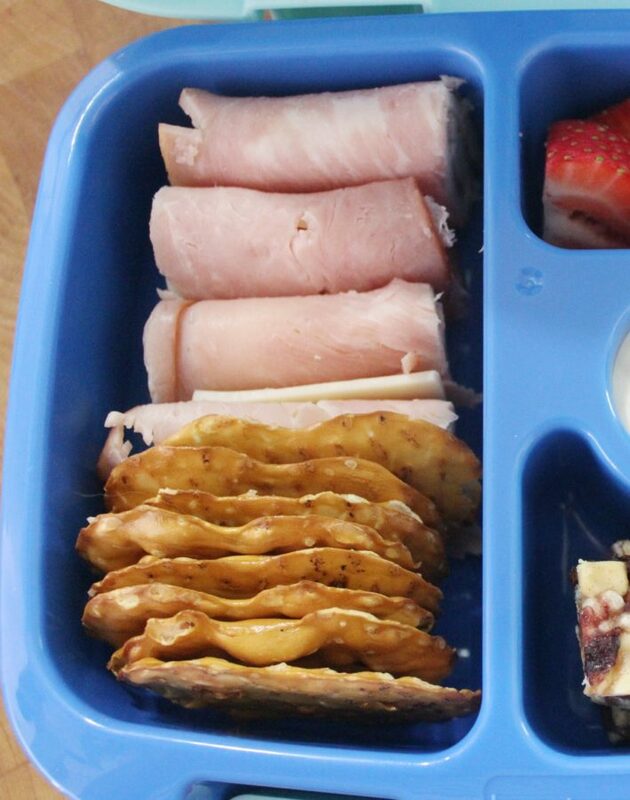 When I started packing smaller portions of foods they could pick up and eat with their fingers, I noticed less and less food was coming back home. I think the philosophy is because, well….it’s just more fun for them. For me, I realized it was easier to pack these types of foods than making whole sandwiches, etc. 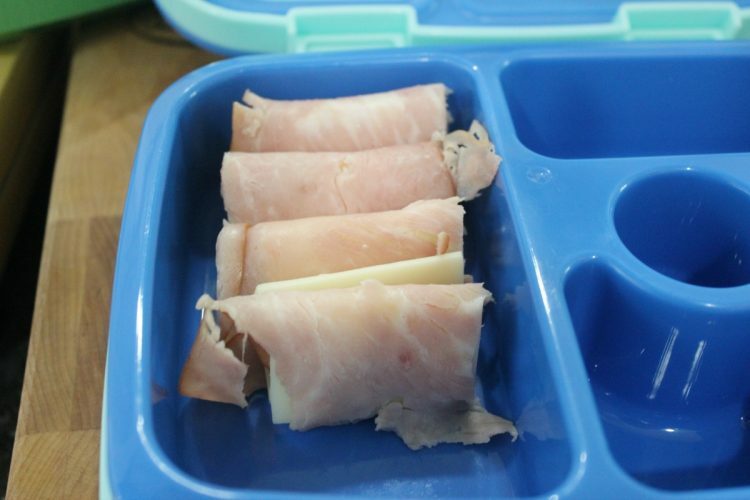 I start with organic ham and cheese, roll them up and cut into smaller “finger food”portions. Next, I add either crackers or pretzel chips. I try to hit all of the food groups. 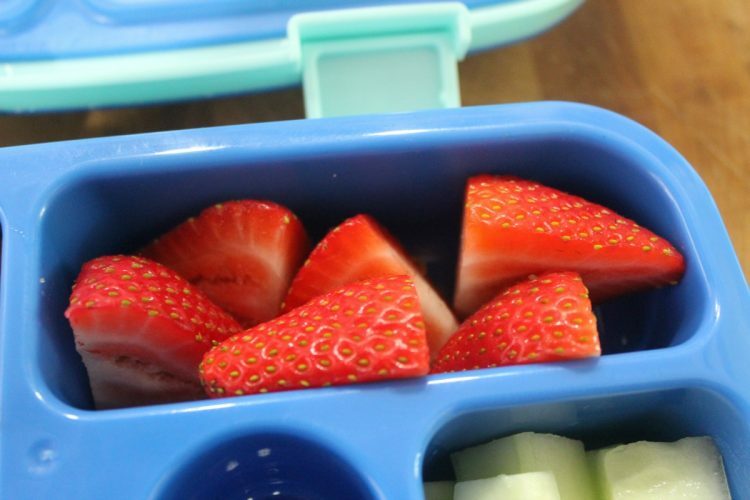 But let’s be honest with each other…you can pack a lunch that is 100% healthy that a nutritionist will give a thumb’s up to – or you can pack a healthy lunch your kids will give a thumb’s up to and will actually eat. Your choice. I think you can compromise and do both. I always add a veggie. Thank goodness, they are big fruit eaters. 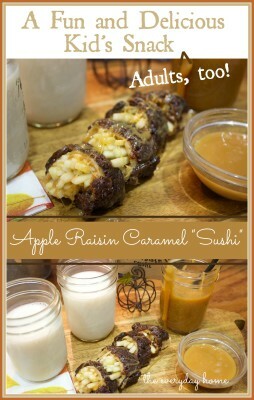 I can add pretty much any kind of fruit and they will eat it up. But, little boys can’t live on fruit and veggies alone can they? 😀 So I always add a little “something-something” on the sweet side as a treat. I found organic fruit, nut and chocolate chip bars, and when cut into thirds they were the perfect size. There’s nothing fancy here. No cutesy cut out veggie shapes. No dinosaur shaped crackers. 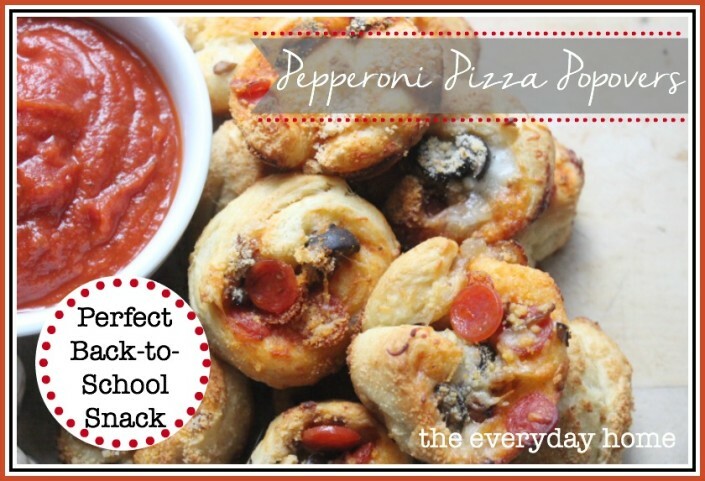 In fact, I won’t lie to you and pretend like I spend all day making homemade this and homemade that for their lunches. 75% of what I pack in their lunches in store bought. But, I do put a lot of effort into buying gluten-free and organic as much as I can. Just don’t try to recreate the wheel and make extra work for yourself. 1.) Make sure it’s as healthy as I can make it. 2.) Make sure it’s foods they will actually EAT. 3.) Make sure there is a good variety. 4.) Make sure the portions are finger-sized and FUN to eat. 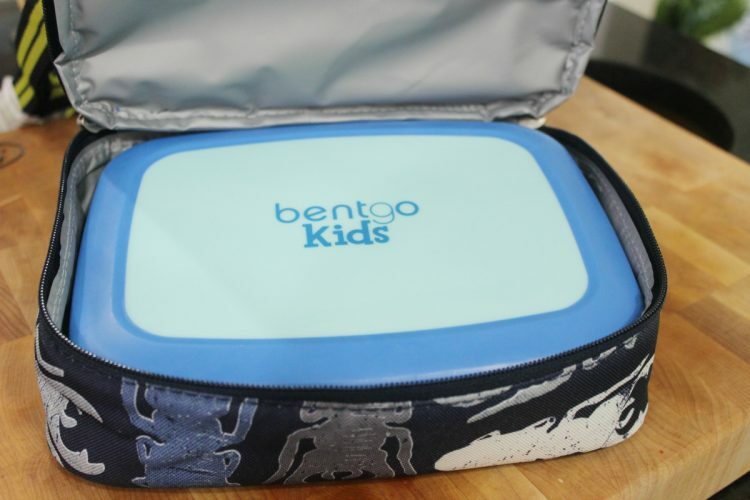 This particular Bento Box is the perfect size that fits easily into their new lunch bag. I can even add a freezer pack underneath to keep things nice and fresh. 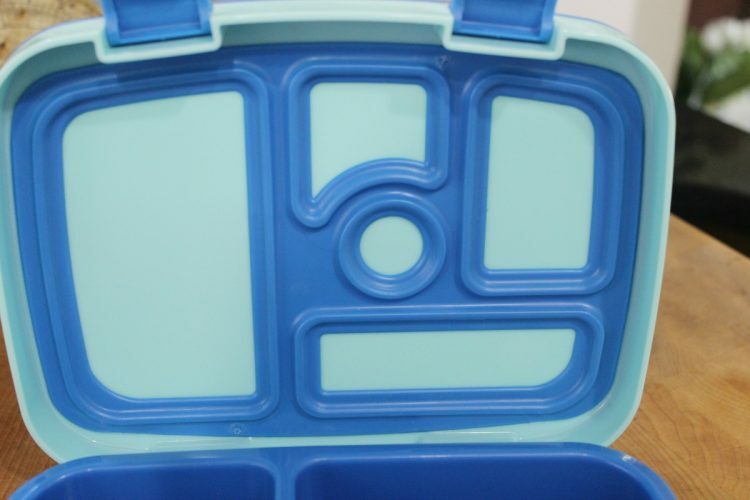 I chose a two-sectioned lunch bag so I could store the Bento Box on the bottom, but still have plenty of space in the upper section for their juice bottle and morning snack. 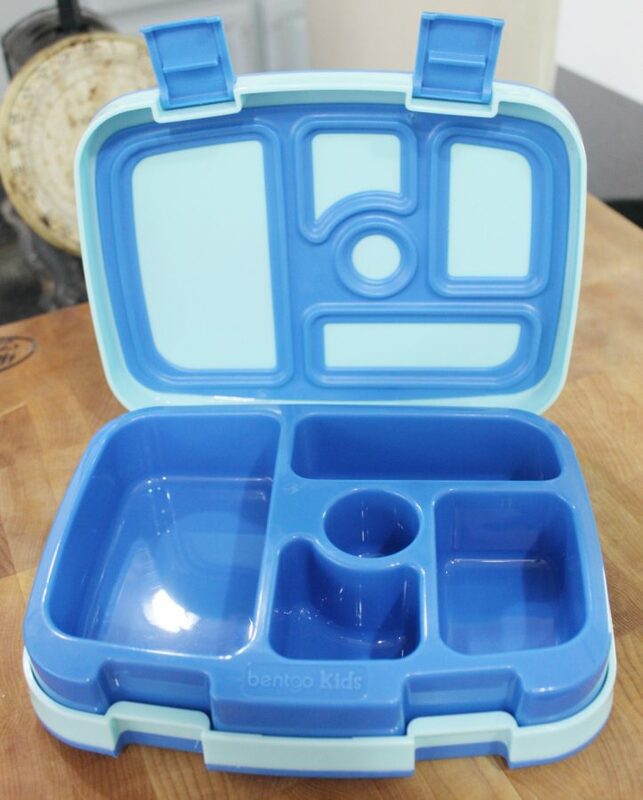 Did you happen to see my post where I shared the little “lunch kits” I make for their boxes? 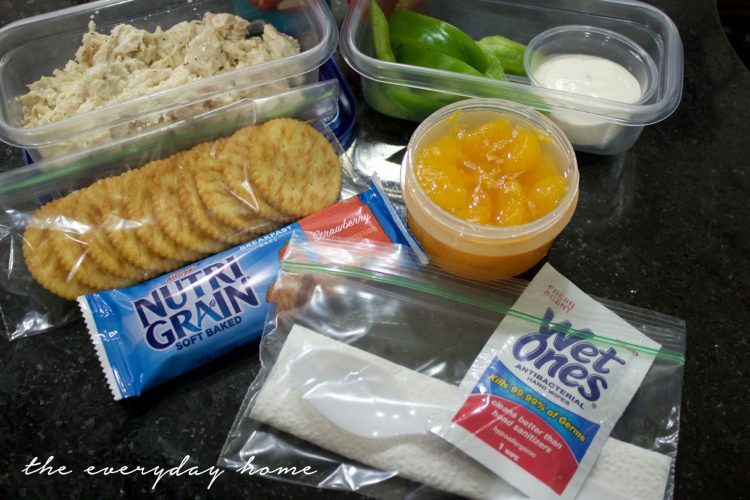 I pack a snack-size baggie with a napkin, a spoon or fork (as needed for fruit salad or mac ‘n cheese, etc. ), and an individual sized Wet Ones for clean-up. 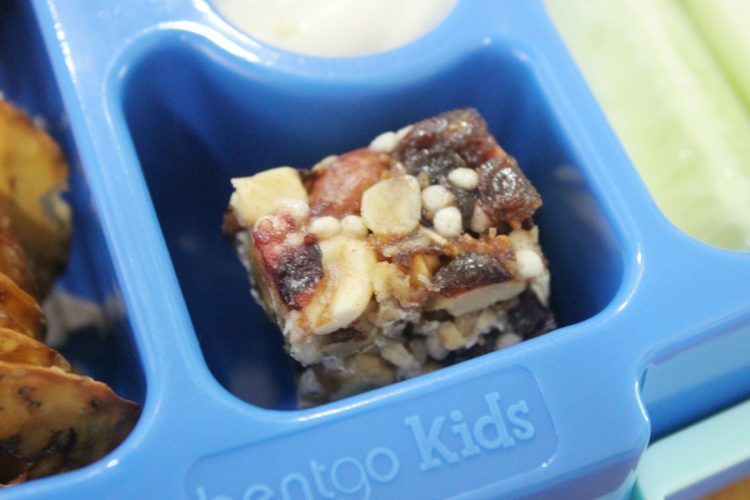 One more thing I can’t wait to share… I love to add some sweet little notes to their lunch boxes. I either tuck it inside of the lunch box itself, or I add it to the little plastic baggie “lunch kit” above. It’s little notes of encouragement or a reminder that they are loved. My sweet Cole-Man told me one day, a classmate was feeling down, so he shared his “You Are Awesome!” note with him. That stole my heart. And if I forget to add a note, trust me, they let me know. 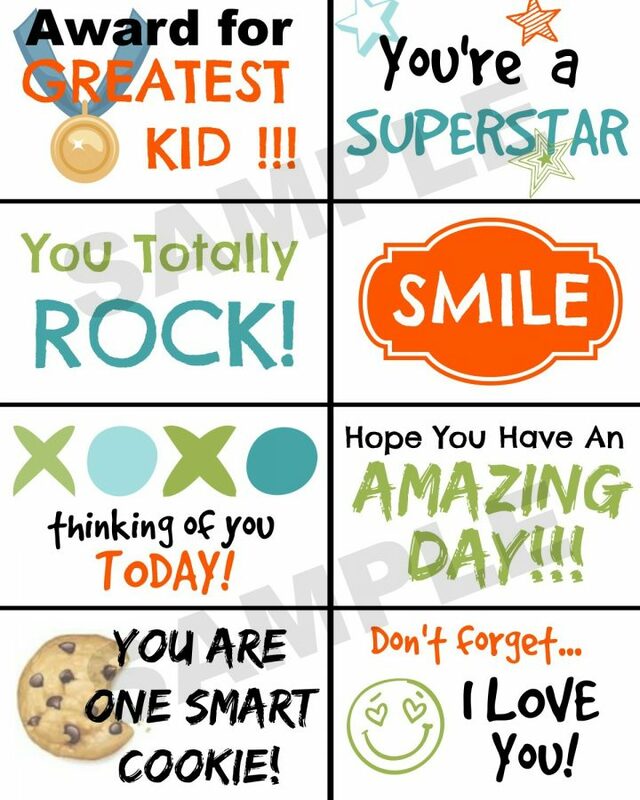 😀 I have created a printable with eight little notes you can print and cut out. I will be making more pages soon. You will be able to get these in the weekly newsletter. By the way – do you receive my weekly newsletter? If not, SIGN UP HERE and you can get my free Ebook (5 Family Friendly Casseroles) as well as two other beautiful printables. 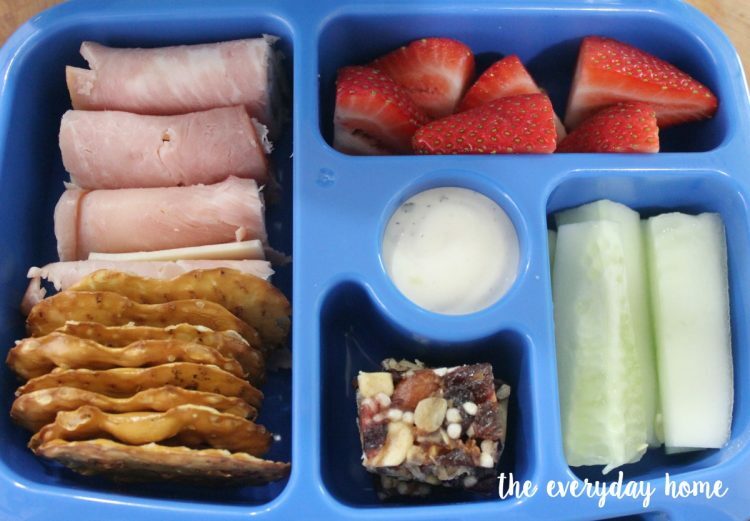 Download and Print Your FREE Lunchbox Printable HERE. 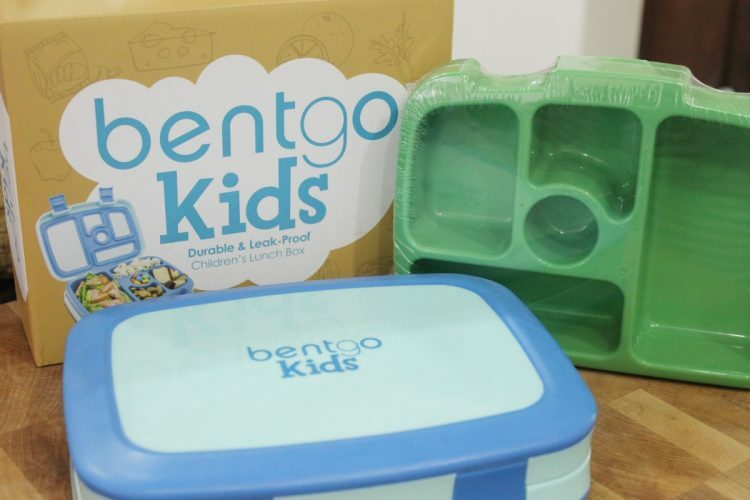 CLICK HERE FOR MORE INFO ON THE BENTGO TRAY. 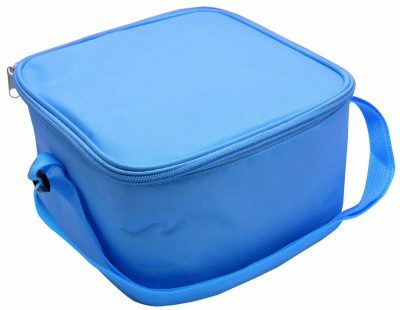 CLICK HERE FOR MORE INFO ON THESE LUNCH COOLERS. CLICK HERE FOR MORE INFO ON THE BENTGO BAG. 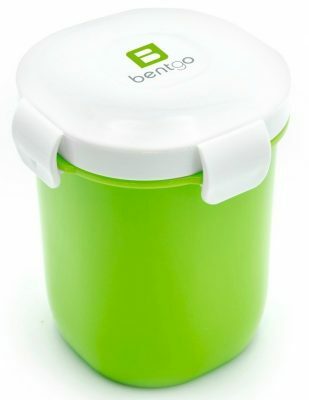 CLICK HERE FOR MORE INFO ON THE BENTGO CUP. 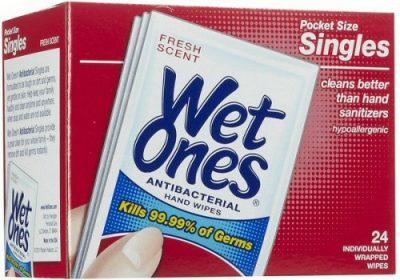 CLICK HERE FOR INFO ON WET ONES. 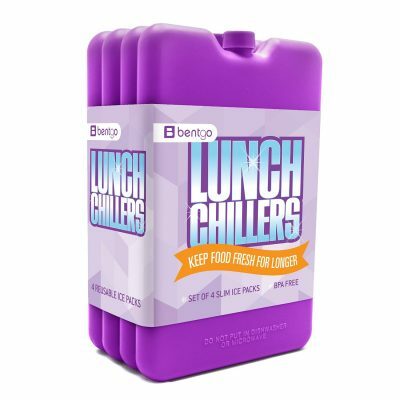 What is the brand or style of the lunchbag you used/use with the Bentgo kids lunchbox, ice packs and juice box? Goodness, it was just one I picked up at Marshall’s. I think. I would look at it but by the end of the year it was so worn and trashed I tossed it. I’m so sorry I can’t help you more.